Welcome to Simply to Thrive – a weekly podcast where we dive deep into nutrition and wellness, but rooted in Biblical truth. My name is Noelle Parton… join me as we have conversations connecting these topics to faith as a follower of Christ. 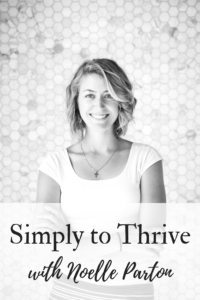 Thank you so much for joining the Simply to Thrive podcast! Let me know what you’re excited for by messaging me on Instagram or Facebook, or emailing me at [email protected] You can send me a nutrition/wellness question you’d like me to address on the podcast in the same way. Also, please hop on over to your podcast platform (find linked just below), give the podcast a 5-star rating and share with others. 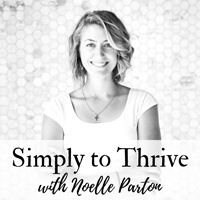 It will also help others just like you who are wanting to connect nutrition and wellness to their faith to find the Simply to Thrive podcast. You can also do that by sharing this episode with someone you know who would be interested in joining the community. I appreciate you!